With over thirty years experience servicing, maintaining and repairing horticultural machinery Horners S.M.R. can meet all your needs for maintaining garden equipment. 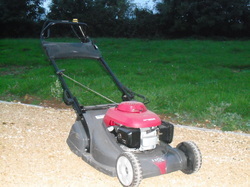 Service and repair of all garden machinery. Can work on site or remove machinery to our workshop. Overnight routine servicing of equipment (when booked a minimum of 7 days in advance). Sourcing new and used horticultural equipment.